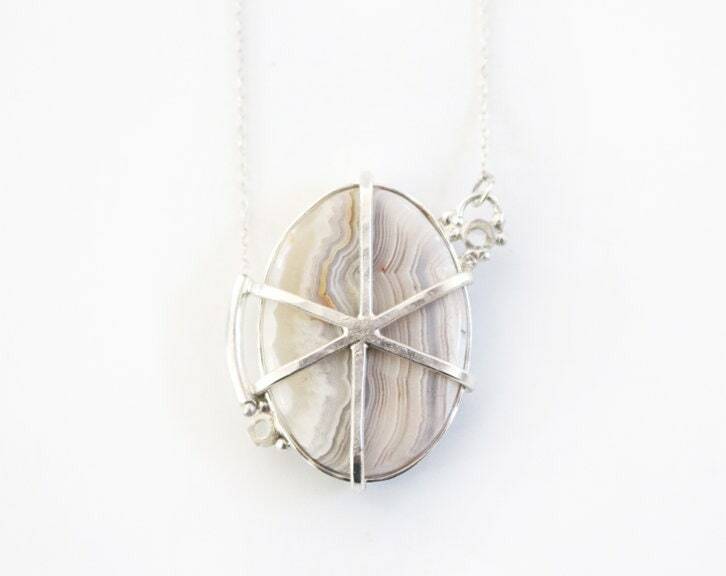 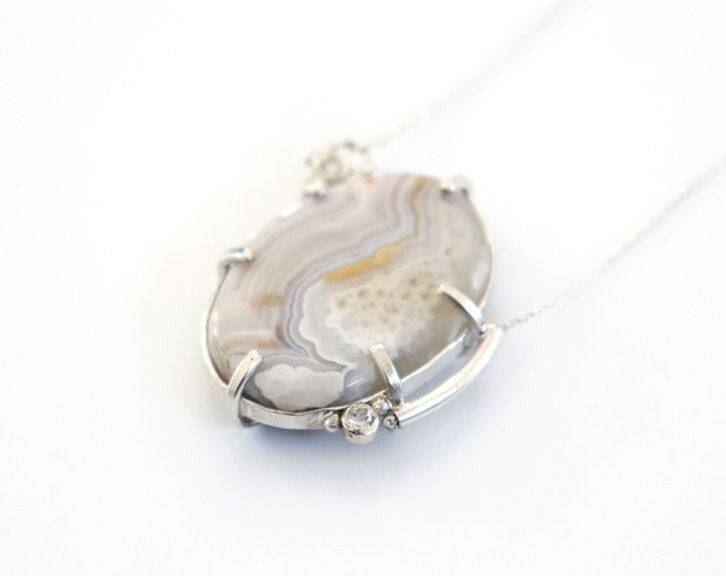 This necklace was designed around the stunning central agate. 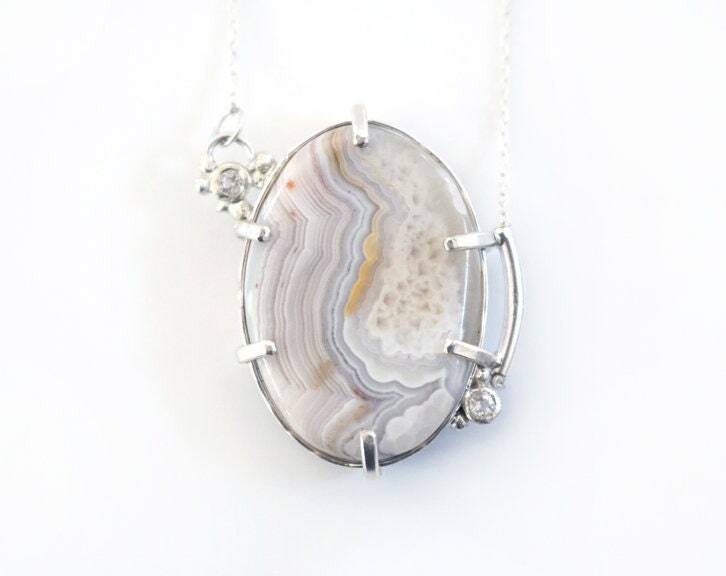 Its banding and gray and blue tones are evocative of clouds, and the small silver balls and two 2.5mm white topaz set on either side were designed to mimic the patterns within the stone without distracting from its beauty. 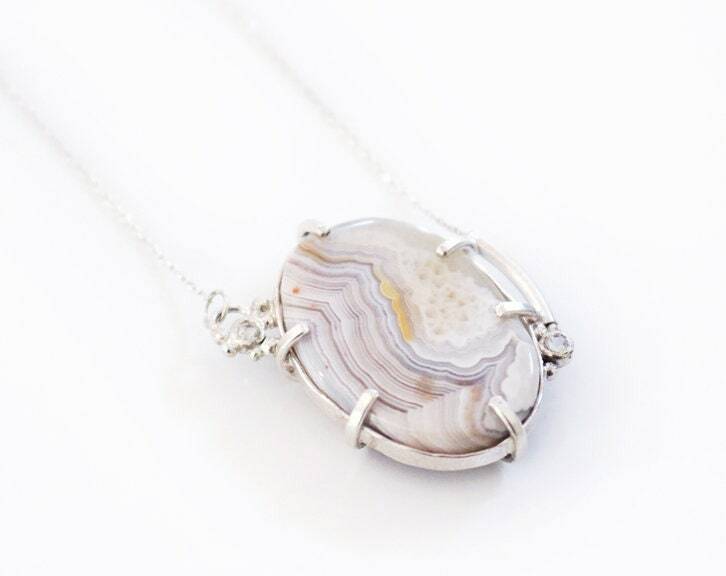 A truly one of a kind piece, it is strung on an 18" sterling chain with a 20" extender, allowing for wear at multiple lengths.